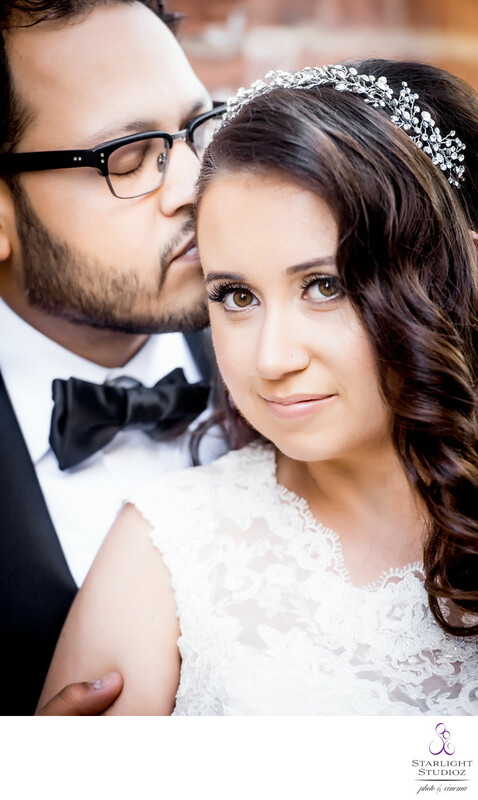 We love our brooklyn couples and this is one of our favorite wedding photos and it hangs in our Brooklyn office next to many other beautiful wedding photography of some stunning wedding couples. They had a beautiful brooklyn wedding l on an acrylic 24x36. The bride is russian and the groom comes from Indian decent so you can image the wedding was full of non stop dancing to the beats of DJ Alex Edge and MC Irina Gleyzer from TiFusion Band. Our gorgeous couple had an unforgettable russian indian wedding in NY at Baku Palace in Brooklyn. One of the best dancing moments from the wedding was a dedicated Michael Jackson dance from the grooms family which had everyone in awe. Most commonly indian weddings are multi-day affairs, and involve many different intricacies, such as the painting of the hands and feet of the bride called a mehndi. Also, the bride's saree is tied to the groom's scarf which is symbol of he union of the souls. The indian wedding is noramlly around 3 days. The first day, is the ganesh pooja a ceremony perfomred by the priest where only the close family attend. The second day is the mehndi ceremony where the family and friends of the brides draw henna patterns drawn on their hands and feet. That evening, the sangeet takes place. Every wedding guest is usually invited, there is an intro of the couple's families, mingling, a meal and dances. On the third day, the main ceremony, cocktail hour and reception will be done. This was not the case with indian russian wedding in Brooklyn, NY at Baku Palace.